If you're thinking of a new SUV, it's hard to go wrong with a new Nissan Rogue, which does everything well for a good price. The Toyota RAV4 and the Nissan Rogue are the best-selling SUVs in America. In any given year, one or the other has the top spot. The RAV4 is slightly ahead this year, but about 400,000 buyers will take home a Nissan Rogue in 2018. The reasons for that success are simple: it's about good value. 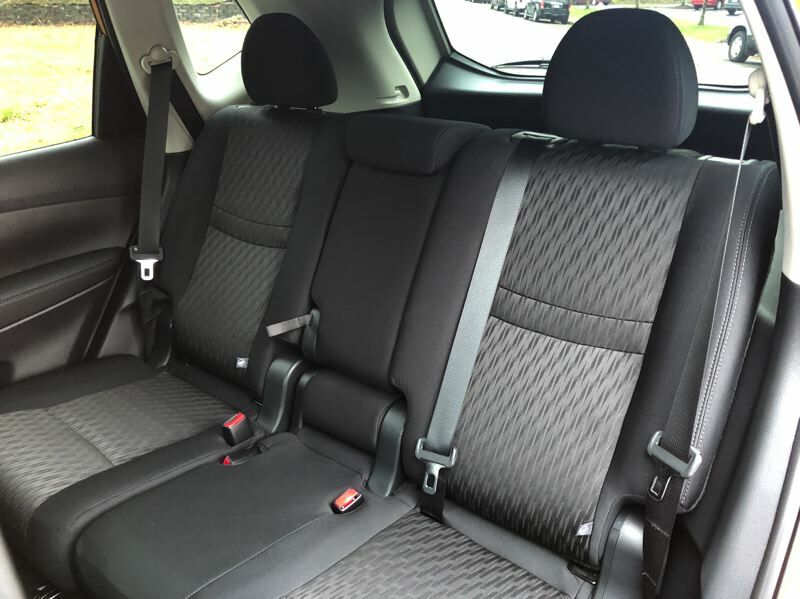 The Rogue is a spacious 5-passenger crossover SUV. 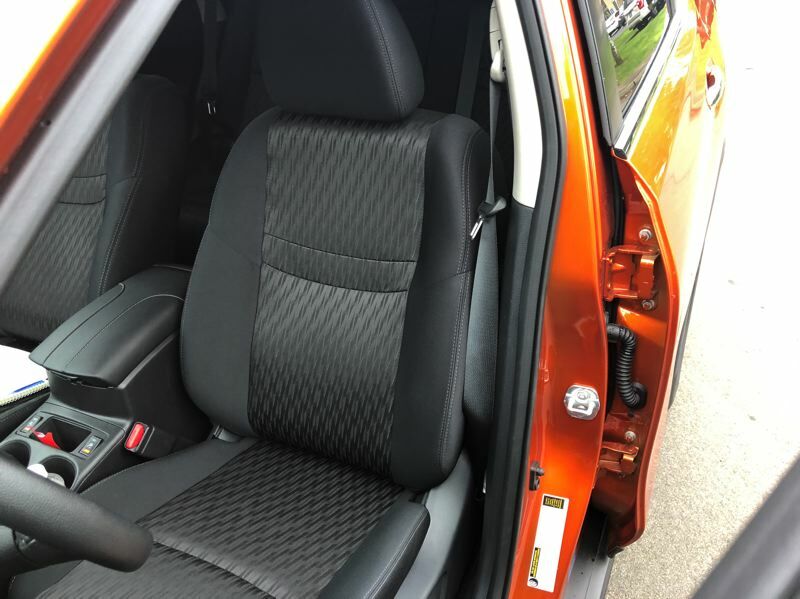 It's perfect for families and you can get into the most basic trim for less than $25,000. All the basics are there in the base model, too. You'll get more than 27 MPG in combined real-world driving, and the ability to haul up to 70 cubic feet of cargo. The Rogue can also tow up to 1,100 pounds, so a camper or utility trailer can be part of your plan. Under the hood, you'll find Nissan's 2.5-liter four-cylinder engine. 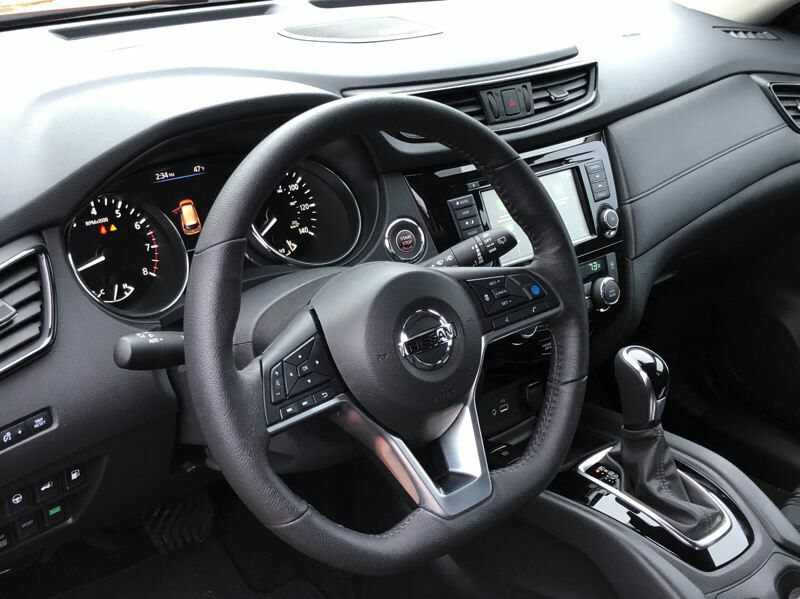 170 horsepower doesn't sound like much in the modern world, but Nissan's Xtronic continuously variable transmission makes good use of the available power to give the Rogue a confident driving experience. The Rogue feels well-planted on the road, with a smooth, comfortable ride. Four-wheel disc brakes give the Rogue a short stopping distance, too. As a family wagon, the Rogue needs to lead in safety technology, and it does. Unlike most SUVs, Nissan makes blind spot monitoring standard equipment on every Rogue they sell. 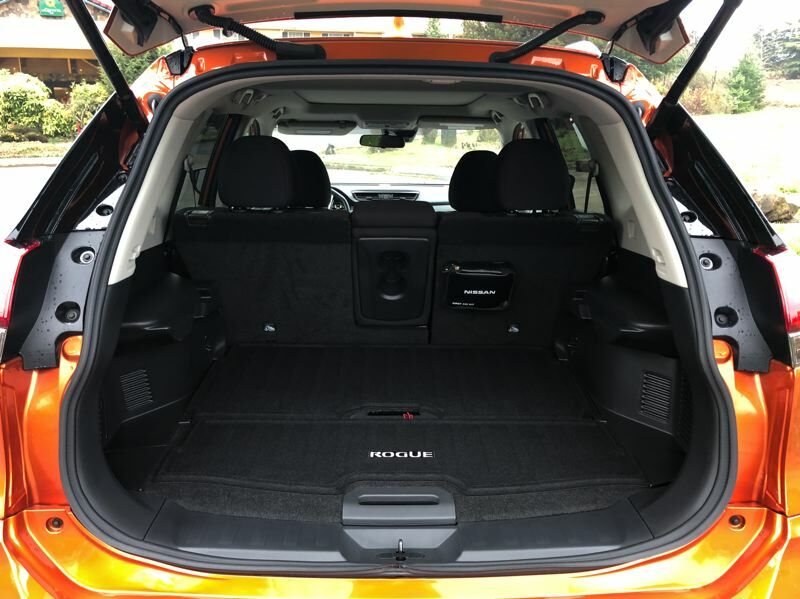 The Rogue also includes intelligent lane intervention, automatic emergency braking with pedestrian detection, reverse automatic braking, rear cross-traffic alerts, and advanced traction and stability controls. Remember, that's not limited to the top trim. That list comes on every Rogue. Of course, if you select the higher trim levels, there's plenty more you can get. 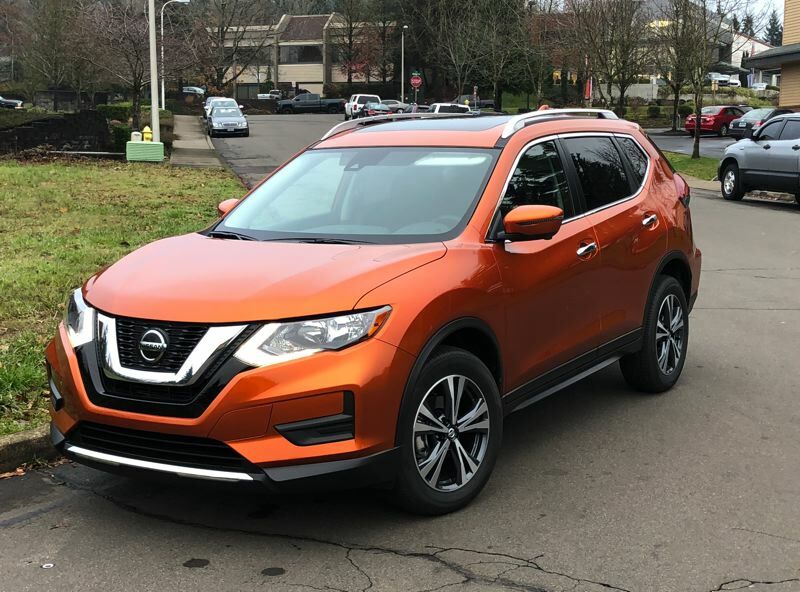 Our test vehicle was the mid-level SV trim, which came with all-wheel-drive, motion-activated liftgate, navigation, Bose audio, panoramic moonroof, bird's eye camera system, and Nissan's latest driver assistance technology. Nissan is the only economy automaker to offer steering assistance, which it calls ProPILOT Assist. This works in concert with adaptive cruise control to help the driver stay centered on the road. The ProPILOT system applies gentle steering inputs to keep the Rogue in its lane, even around curves. The driver is still in control, however, and must keep hands on the wheel and eyes on the road. The top trims of the Rogue come with navigation, but every Rogue supports full smartphone integration via Android Auto and Apple CarPlay. This means if you have a phone, you have in-car navigation. The basic screen interface is seven inches, which is a nice useful size. One more thing about the Rogue: You can get it with a hybrid drivetrain if you want to use a bit less gas. The Hybrid gets 31 MPG city, 34 MPG highway, and 33 combined. If you're thinking of a new SUV for 2019, it's hard to go wrong with a new Nissan Rogue.